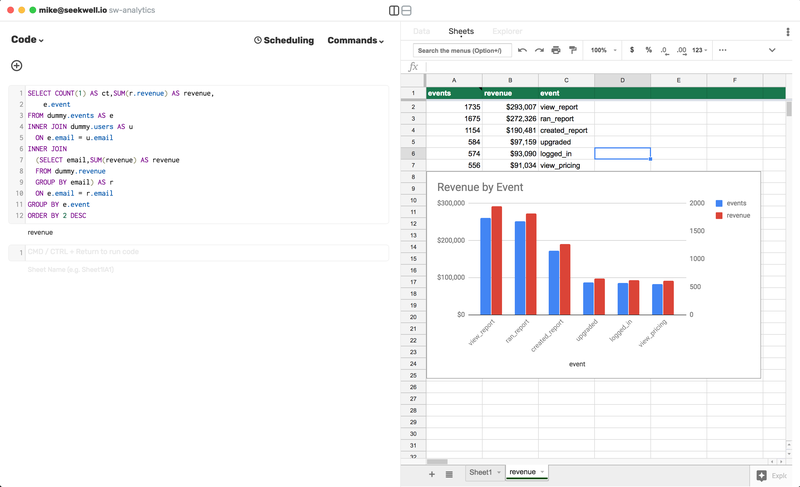 SeekWell helps data teams write SQL faster and automate dashboards in Google Sheets. SeekWell uses natural language processing and artificial intelligence to surface relevant code, tables, and columns. Set up schedules in minutes and send reports to Google Sheets & Slack. No additional training, cost, or management of new software. Your repository is shared across your team so you can find relevant code others have written and define metrics consistently. In-app support from the people that built the product and can solve your problem. We're here to help when you need it. How much does SeekWell cost? Where can I see my scheduled queries?